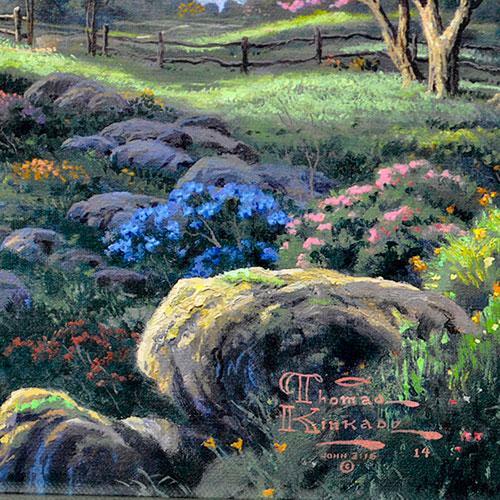 Highly collectible limited edition Thomas Kinkade on canvas. 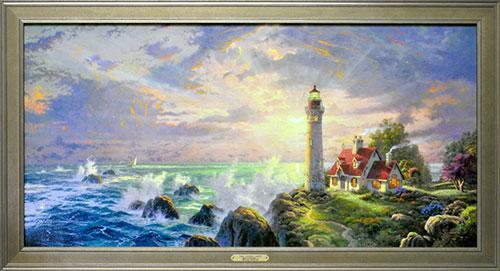 Comes with gallery frame and certificate of authenticity by Thomas Kinkade. FRAME: THIS PIECE IS FRAMED. AS ARTWORK MAY BE OBTAINED FROM VARIOUS CONTRACTS OR ESTATES, OCCASIONALLY THERE MAY BE MINOR DENTS OR SCRATCHES ON FRAME. WE DO NOT GUARANTEE THE CONDITION OF THE FRAME. 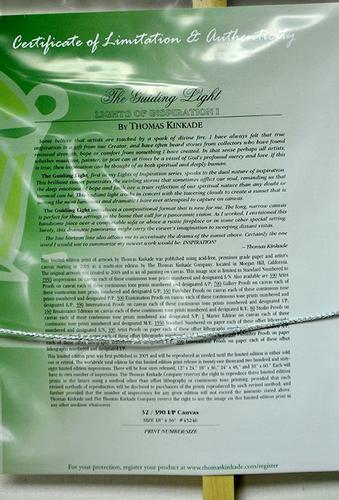 CERTIFIED: This item comes with a third party certification of authenticity guaranteeing the description of the item.